One or two engineers come into the room long enough to ask a question or share some information, but otherwise this 20-minute interaction between Spaulding, Coltom and the El Tigre is uninterrupted and quiet. On this day, there's a contrast between the two. Spaulding is deliberate and brisk in pace. The schedule to produce the company's first ever 2-stroke snowmobile engine is tight and unforgiving. As the Group Leader of this endeavor, his desire to deliver excellence tempers any inclination he might have for idle conversation. Perhaps because he senses Spaulding's heightened intentionality, Coltom is relaxed and jovial, cracking the occasional joke. But the banter is short, light and respectful, as Coltom is fully aware of his colleague's business-like mindset. He too wants this project to be exceptional and successful on every level. With the work on the APV valves complete, Spaulding reattaches the hood and side panels to the El Tigre while Coltom dons his riding gear. Minutes later, Spaulding has left for a conference call with a component supplier while Coltom evaluates the Tiger's performance on 50-mile loop of trail and ditch with engineers Jeff Olson, Bart Magner and the photographer. The sunlight fading behind the late afternoon clouds, the process of building, testing, evaluating and improving snowmobiles continues at its high pace. Gotta love it... two living snowmobile legends. Mr. 340 is one of my all time fave racers -- he probably ripped up that 50 mile test ride in short order. I can see one huge improvement I'd like to see before I buy new again. A good old reverse-cam secondary clutch! $5 says the Viper with the 4-stroke top-ends the Cat with the same Yamaha motor and is easier on belts and belt heat. The guys up the road have seen the light and some of their models dumped the compression TEAM-style secondary. A loyal Cat customer since 1993. Swell write up John! I remember that Friday as a particularily awesome day for a little ditch banging around TRF. Spent the day watching the kid do a little 160 mile loop to Goodridge. Puts a big smile on my face just thinking about it! Keep up the good work! The original style Team Rapid Reaction secondary WHEN set up with spring/helix that does a good job of controlling both the upshift and good backshifting will work great. Problem is that MOST applications come with those Teams set for SX conditions AND modified light tipped wts. That will not pull top end speeds. Testing has proven correct balance of each component will gain more acceleration and top speed vs anything Cats used in past decade+ with cooler running belts. The PRIMARY is for upshift. 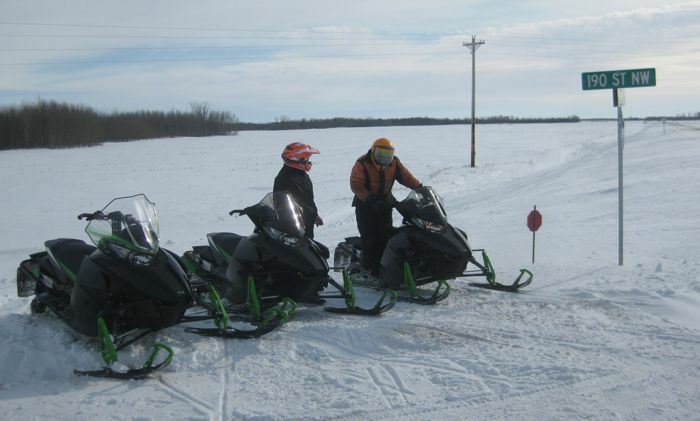 Machine yourself the correct spacer, put a roller reverse-cam on a SnoPro 600 and it will drive around a Team equipped sled every time with a softer belt at lower temps. Same thing a Diamond Drive sled will do with an aftermarket torsional conversion. An F7 WHEN modded that way with 63-57 or 62-58 gears in the box will run side-by-side with chain drive F's. Done it often. Primary is only need of spring and weights is for control of engagement. The secondary can and will control both upshift and backshift. To many read Aaens book and are overwhelmed by Olav's misconceptions. Several of his theories have been proven silly at best over the years. That book is elementery grade level for introduction of cvt to those wanting a simple understanding of the system, nothing more. Spaldo you and Larry never looked better! I've been running SRAM Red for the past two years now and love it, have ridedn Dura Ace and practically every other Shimano iteration (besides the low end stuff although I haven't ridedn DI2, I'm not sure I like my ability to shift gears being dependant on a battery anyway! ).I do run a Shimano chain as I find it shifts slightly better than the SRAM equivalent chain.I've never had any problems with Dura Ace (like most groupsets on most bikes so long as they are well maintained then they usually work fine) but I prefer the quick SRAM shifting action, plus the groupset weighs less and looks better than Dura Ace..